During the past decade, the government has been keen on promoting the use of environment friendly materials. However the use of plastic over the past decade or so has also been highly industrialized and commercialized due to its affordability as well as accessibility. Due to this, the European Union or EU made a law that oversees the careful formulation in the production of plastic and other materials. This law is called Restriction of Hazardous Substances Directive or RoHS. This was made into law in 2003 and fully implemented in 2006. RoHS simply obliges all members of the European Union to responsibly produce and manufacture materials such as plastic. Furthermore, it assures the consumers that the plastics sold in EU member states are free from any toxic and hazardous materials like lead or mercury. Why do consumers need to make sure that they buy products that are RoHS compliant? Consumers need to do their part in saving the environment and in making sure that what they use are not hazardous to other people. When they buy plastic enclosures that do not have a seal that indicates RoHS compliance, they run the risk of exposure to toxic materials. This also means that the plastic product contains materials that can damage the environment. What are the hazardous ingredients that consumers need to watch out for? Non-RoHS compliant plastic enclosures may have one of the six most toxic materials in it. These are polybrominated biphenyl, mercury, hexavalent chromium, polybrominated diphenyl, cadmium, and lead. Prior to the enforcement of RoHS, one these six materials were used to produce plastic enclosures for electronics. So you need to make sure that when you select your plastic enclosures, there is a seal that states RoHS compliant. Do all RoHS compliant plastic enclosures have RoHS seals? Even though RoHS is being implement by the the European Union, the law doesn’t require all RoHS compliant plastic enclosures to have a seal or stamp of safety. If you are a consumer that wishes to purchase a plastic enclosure that is RoHS compliant, you just need to check if it is approved by any EU member or if the product has the WEEE seal. WEEE stands for Waste Electrical and Electronic Equipment which is a directive that promotes waste recycling. If I buy a plastic enclosure, does it really have to be RoHS compliant? If you really care for your health and the health of other people, then the answer must be yes. RoHS protects all consumers from exposure to toxic materials especially lead. What plastic products are covered by RoHS? Plastic products that are not exempted from RoHS are large and small household appliances like stoves, coffee makers, refrigerators, air conditioners, and even hair dryers. Computer hardware like printers, keyboards also need to be RoHS compliant. Consumer electronics like video game consoles, controllers, radios, televisions are also not exempted from RoHS. This just shows the broad coverage of RoHS to ensure the safety of all consumers. Are there plastic products that are exempted from complying? Yes, there are still products that do not need to be RoHS compliant. Most of these are medical equipment and apparatus or large industrial tools. 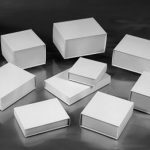 What brands sell plastic enclosures with RoHS safety seal? 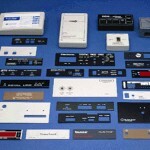 There are many brands that carry RoHS compliant products. One of these is SIMCO. 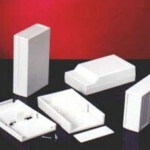 SIMCO has a variety of plastic enclosures that are RoHS compliant. You can even have a custom made plastic enclosure for your own device and you can be assured that it is free from toxic materials. Are RoHS compliant products more expensive? Safety is not always expensive. 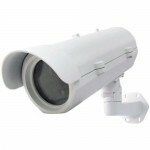 In fact, there are many affordable plastic enclosures that are RoHS compliant. 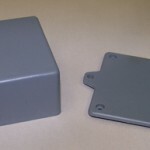 SIMCO’s utility boxes or plastic enclosures can be as cheap as $4.00 each so you don’t need to worry about your budget. 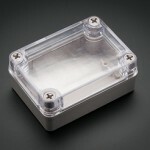 Safe plastic enclosures are cheap and durable too. For the regular consumers who want to make their own electronic devices and choose their preferred plastic enclosures to go with it, you need to be aware of the importance of RoHS. It is not to restrict your choice or to limit your freedom in buying. It is to give you the peace of mind that what you are buying and installing is safe for you, your loved ones, and even the environment. Aside from the RoHS seal, you might want to purchase plastic enclosures that are also WEEE approved. This means that if you decide to discard your plastic enclosure, the plastic will be recycled and be reused. This will ensure less garbage in the environment and promote recycling in the community. So the next time you think of buying plastic enclosures, make sure that it is RoHS compliant. Double check the package if it has the WEEE seal or if it is EU approved to ensure your safety. RoHS Compliance – What Does That Mean and Why Is It Important?